Anyone who has a wholesale store membership (Costco, Sam’s Club, B.J.’s) has probably shared this thought with others, “The store brand is cheaper, but if I buy it here and don’t like it, I’ve got a lot of product to get through… or a lot of waste to toss.” In fact, our founder, Meg, came up with the idea for Brandefy when she bulk bought generic Clorox wipes. She found the generic inferior, but was stuck with THREE FULL CONTAINERS. That’s why we are testing products from Costco. When you buy a high quantity of a product, it can be a risky purchase. Brandefy wants to take out that risk, by doing the testing for you. Here. we share our results of the top-requested Costco foods. We were pleasantly surprised by many, but will be avoiding some. Pro tip: Costco guarantees their products, which means you can return anything you are unhappy with for any reason. P.S. We are NOT paid by Costco (or anyone) to do these reviews, and they are 100% our opinions. Kirkland Signature's pistachios are slightly higher in calories and fat for the same serving size as the name brand. Testers also noticed the name brand has a convenient open/close zip top. However, if you can get past the slight difference in nutrition, we highly recommend making the switch as testers thought these products tasted and smelled the same! Testers noticed a slight difference in taste as the name brand has a little more flavor and saltiness. However, you probably wouldn't tell the difference if you were using these in a dish. We recommend making the switch! The tester found these very similar. He noted the Kirkland Signature coffee had a more robust smell, but the Green Mountain had a slightly more caffeinated taste. Overall, we think you should switch to save. There were only a few small differences in this comparison. KIND has a sweeter chocolate smell, while Kirkland Signature has more of an earthy smell. KIND was a little chewier in texture, while Kirkland Signature was slightly saltier in taste. Overall, these seemed to be very similar and testers agreed they would make the switch. In a blind taste test, testers said they could barely tell the two champagnes apart. Given how similar, they would definitely switch for major savings. They perceived the Kirkland champagne to be slightly drier and less buttery. This comparison was all about texture! Testers noticed the name brand was a lot thicker and difficult to stir. The store brand was smoother, making it way easier to spread. It was an easy decision for testers to agree they would all make the switch to the store brand. The majority of testers thought these spreads were similar and said they would switch to save. 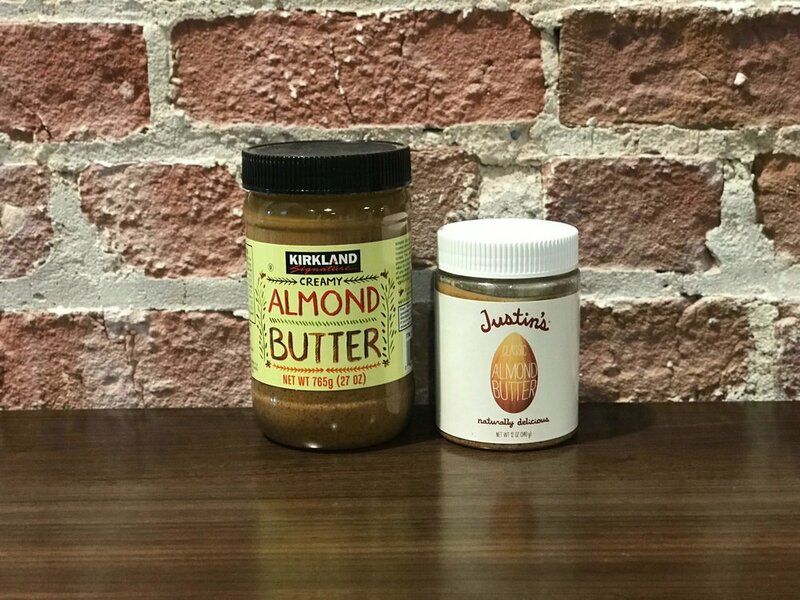 One noted the Kirkland spread had a slight aftertaste and was not quite as smooth as Nutella. We think you won't be able to tell the difference if you are eating the store brand spread with other food. If you are a Nutella NUT, and like to eat it straight out of the jar, you may want to stick with the name brand. Chobani's recipe seemed to have a slightly more sour smell. However, it was Kirkland Signature's recipe that really turned testers off because of its lumpy and thick texture (yuck!). We'll be sticking with the name brand in this case. We would switch to save! The store brand has a crispier crust and way more pepperonis, which is just so delicious! Both brands had an appealing taste according to testers. However, while it was saltier, the Kirkland Signature popcorn is really lacking a butter coating and flavor. We definitely didn't feel like we were at the movies! We suggest sticking with the name brand to get that desired buttered popcorn taste. Don't let the name brand packaging fool you! The label might say natural but that doesn't mean it's organic. The store brand contains actual organic ingredients and has a sweeter taste. Testers actually preferred the store brand and would happily switch. The main differences noted in this comparison were the sweeter taste and smell of the store brand honey and the more convenient packaging of the name brand's product. Overall, testers agreed they would make the switch either because they preferred the sweetness or knew they wouldn't tell a difference when mixing their honey with other ingredients. The name brand granola bars smell of honey while the store brand smells and tastes more of chocolate. Testers noticed the store brand appears to have a stickier consistency and falls apart more easily. 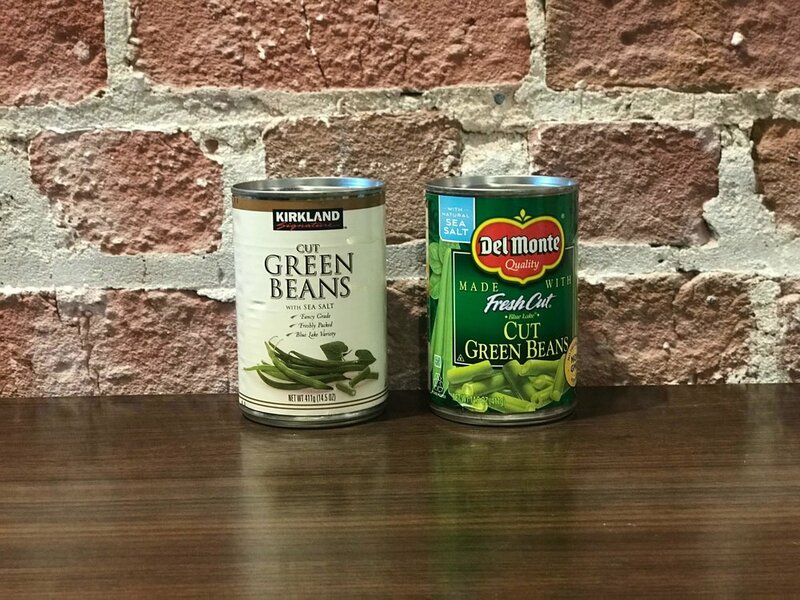 This comparison might have to come down to preference as 2 out of 3 testers said they would make the switch as they preferred the taste of the store brand. Tester said that the Kirkland Signature bar was stickier and sweeter. She preferred the store brand bar because she felt it was more similar to cookie dough. She did note that the Quest bar had bigger chunks of chocolate to crunch down on. This is dependent on the consumer's texture and sweetness preferences. These two brands are very different as far as texture and taste go. The store brand is thicker and less sweet. PREFER THE STORE BRAND ALERT! Testers noticed the store brand's organic ingredients right away, which are different than the name brand's. The name brand tasted more sour like a candy whereas the store brand had a fresher smell and taste. Appealing taste and texture plus convenient packaging sold testers on the store brand! The one main positive of the store brand is that its chocolates come in a convenient resealable tub. However, testers agree that the store brand's chocolate tastes too strong and the peanut butter is too smooth compared to Reese's texture. We would recommend sticking with the name brand.